Luxurious in the extreme, the San Felipe ship was one of the most beautiful in the entire Spanish Armada. 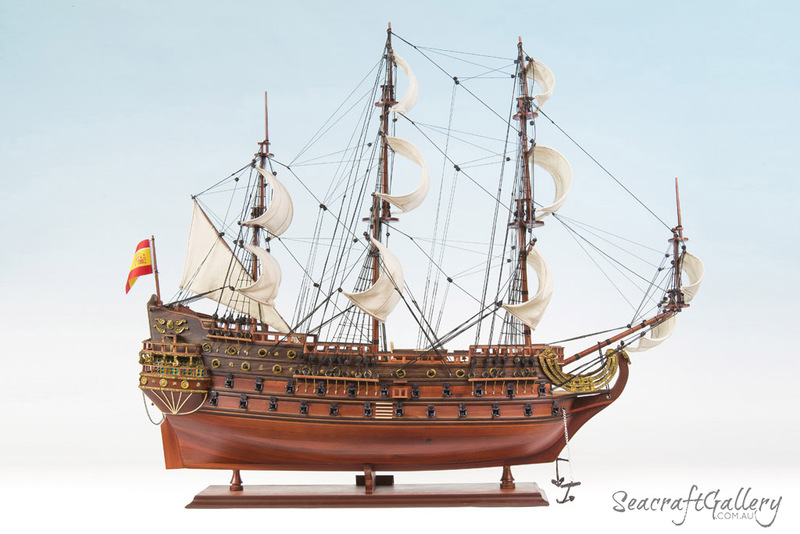 First launched in 1690 after a significant building period, the San Felipe was the lead ship of the Spanish war effort during this time. With over 1,000 tons and with close to 100 cannons (96 in total), this warship gained respect all across the world. Indeed, it was feared very much by the British and French navies – the major competition for the Spanish. 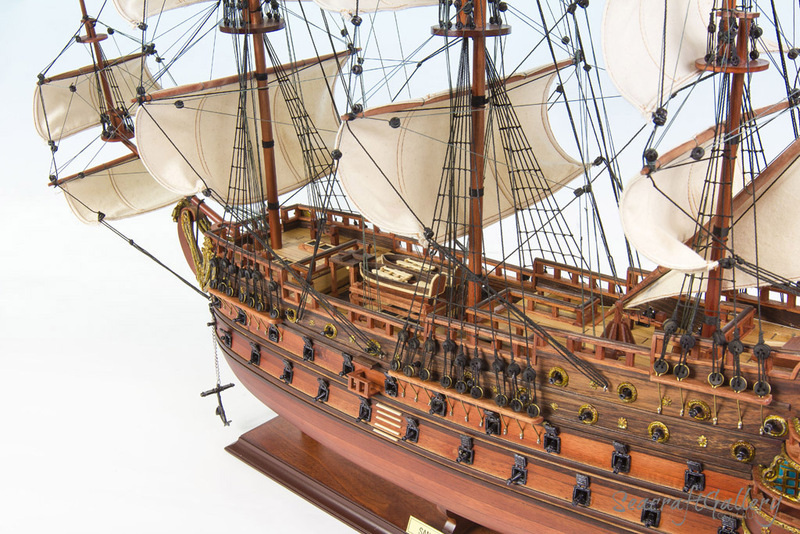 Thanks to this 95cm San Felipe ship model, you can see for yourself up-close why the San Felipe was so respected. 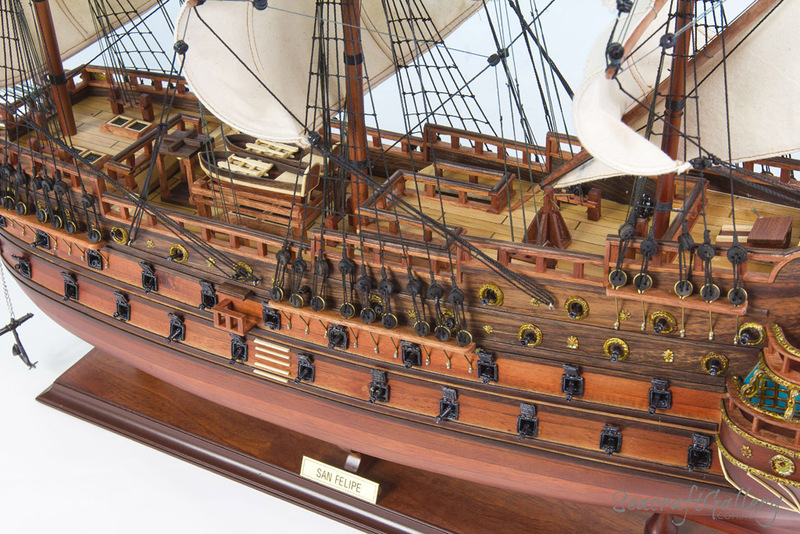 This San Felipe model ship captures the rugged beauty of the San Felipe, honoring its incredible service and prowess in battle. 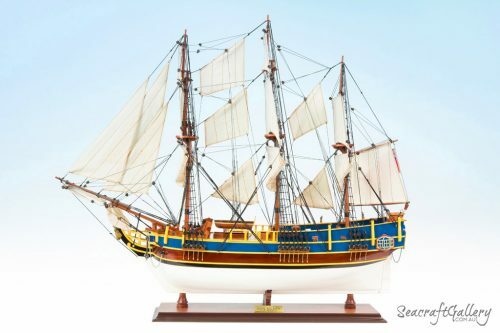 If you want to find the magnificent ship model for display, then this is the ideal one for you to start. 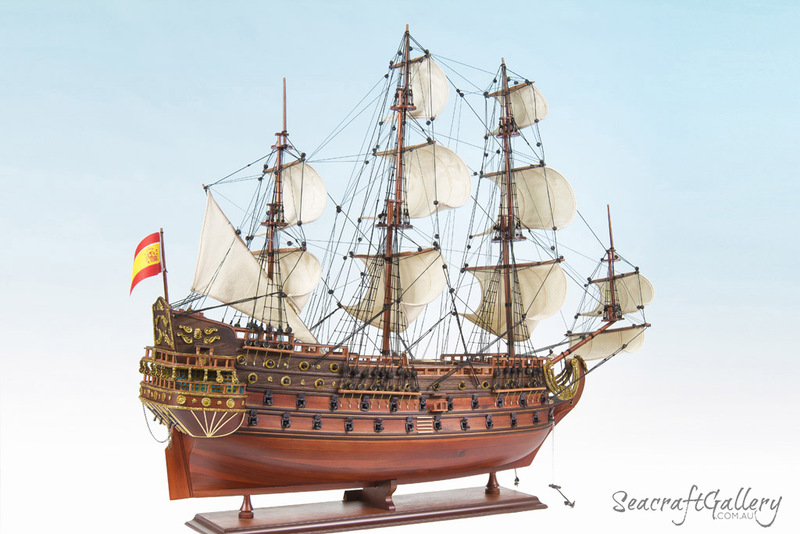 We also have display cases for this model ship to check out, if you wish to put this famous Spanish warship on showcase. 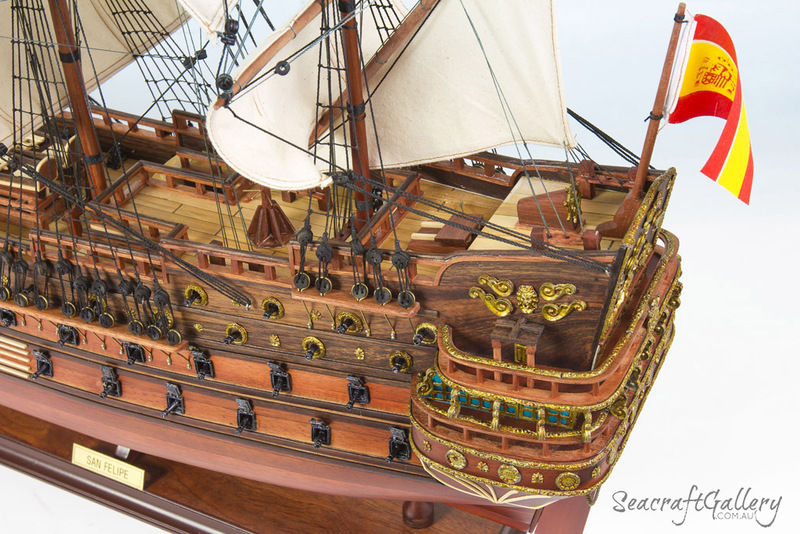 A stunning take on the San Felipe with 95 x 28 x 76cm in size, a hugely impressive scaling of 1:75. Made to arrive ready to be displayed immediately, fully assembled. 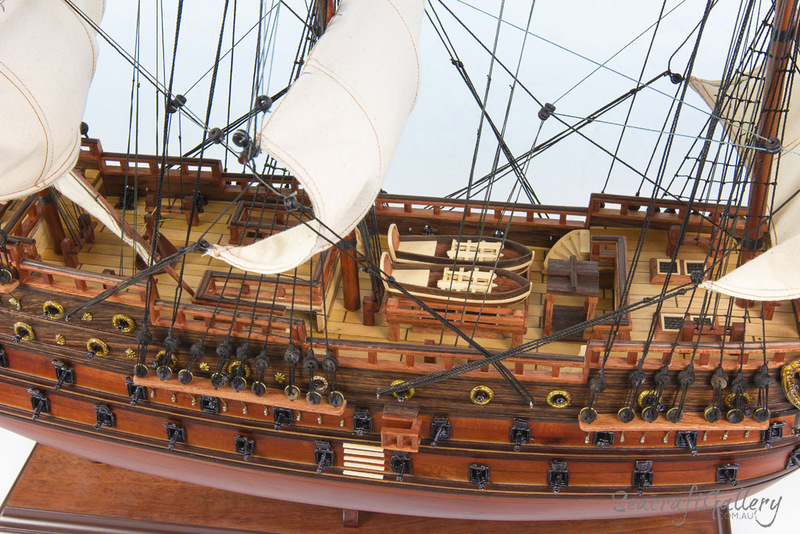 Entirely built by hand, this is a reconstruction with every material used applicable to the real San Felipe. Sails are made using bespoke linen and various textures for each of the rigging lines. Designed to handle changes in the climate and temperature, helping to improve lifespan. 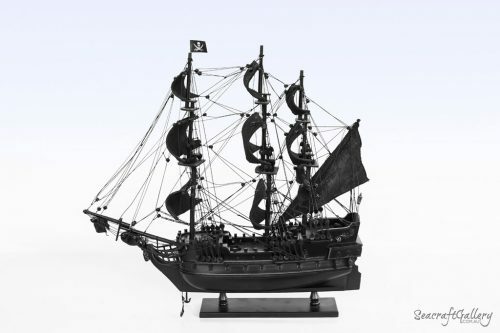 Anchors and other features were made with sculptured metal for the best possible finish. 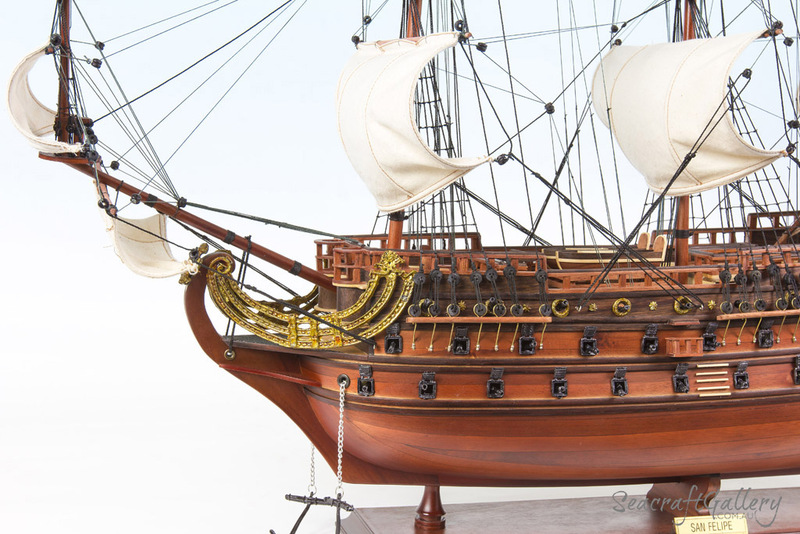 The San Felipe model ship is built to scale using various other plans and pictures that helps to inform the developers. Comes with a solid wooden base and a metal name plate for easy, simple identification. The San Felipe was constructed from 1862 by the shipbuilder D. Antonio De Amas at the Colindres – Cantabria shipyard for Spanish Navy. 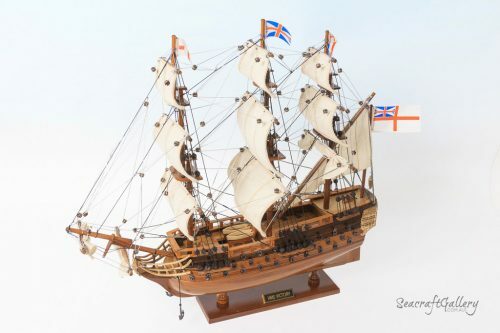 The ship first took to the waves of the world in 1690. When it did so, it was one of the most elegant ships of the era – or indeed any era. 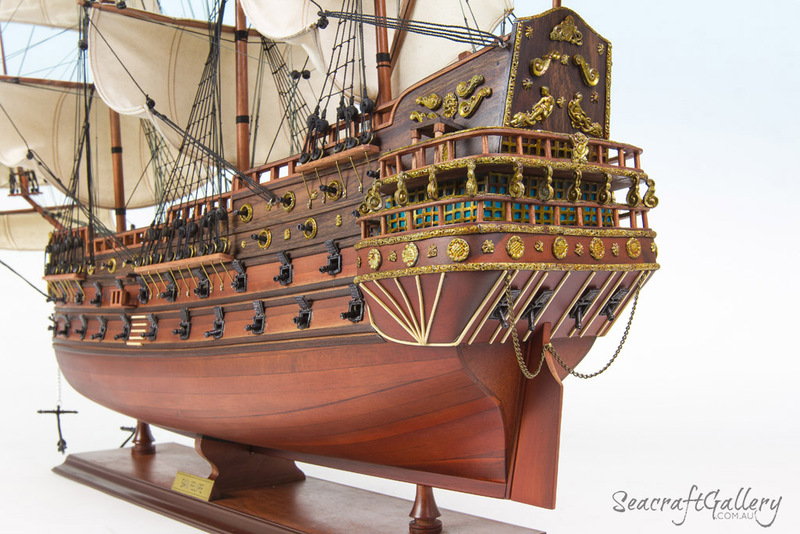 Luxurious in the extreme, this beautiful ship soon became one of the most important in the entire Spanish Armada. Indeed, she was the major ship of the era in terms of both power and potential. With 96 cannons armed and ready, too, it was powerful enough to handle anything the British and French could muster up. 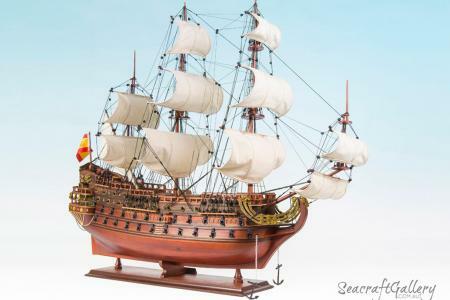 Indeed, it helped to protect many of the most important Spanish settlements, and also helped to transport precious treasures. The trips to and from various Spanish ports were essentially warzones, so the San Felipe helped to police them and keep invaders in check. 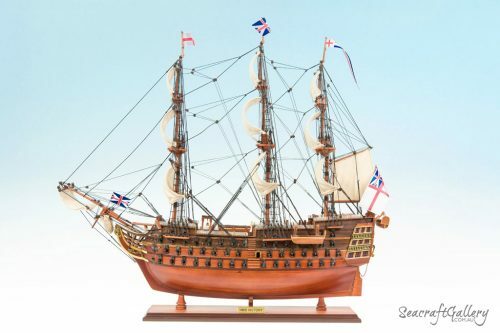 She was used for many battles, including an overwhelming battle against over 30 British ships. Eventually losing the numerical battle, the San Felipe was smashed up and then captured. Sadly, it sunk to the bottom of the sea – including with plenty of gold onboard, legends say. Though it finally met its end the fact it took nearly three times the number of British ships as Spanish to win shows the legend of the San Felipe is more than just a heartening tale.